THE TRUTH ABOUT "INDIGO CHILDREN"
Interlocutor: Who are the so-called “Indigo Children” that many people have been talking about? Are they real? Ruanel: No, they don't exist, it is an entire fantasy. There are child prodigies who at 4 years old they start writing, they know how to play music and every time more children are born with those abilities. It’s not that homo sapiens sapiens jumps directly to the homo mutants, or something like that. What happens is that the mental decoder of these children is growing in such way that they can already perceive a bigger amount of concepts. If you remember what Einstein said that the human being uses only a 11% of the brain, what he meant was that the human beings use around 11% to 15% of the mental decoder. What you have to keep in mind is that such race of children doesn't exist, because if something like that existed, like so many people erroneously spread all over the internet, they would not be superior to the normal homo sapiens sapiens, because we are speaking of shy children, and even some of them are bad-tempered when they are very small. Do you remember the first dialogues we had in 1997? In those first sessions of the Grupo Elron, we spoke about the apocryphal Gospels, and one of them  mentions that during the Infancy of Jesus, the Master killed a boy in retaliation because he had bumped him on the shoulder and Joseph grabbing his ear forced him that he resurrect him. If that gospel were true, it undoubtedly demerit the spirit of Jesus because a pure spirit as his spirit is, is Pure from the beginning , he would not be vengeful as a child, he would not be dominated by his ego in that way. If the indigo children were the saviours of the race like these people say, they would have to be like Jesus, that is to say, pure from the beginning. However, when the researchers describe them, they characterize them like evil children, completely introverted, not talkative and bad-tempered. Interlocutor: Let’s see if I understand what you want to tell me. the indigo children don’t exist in the way they describe them? Ruanel: The indigo children exist in the way I have described them, but not in the way these people want to make people believe they exist. That is a total fallacy. I will be practical. 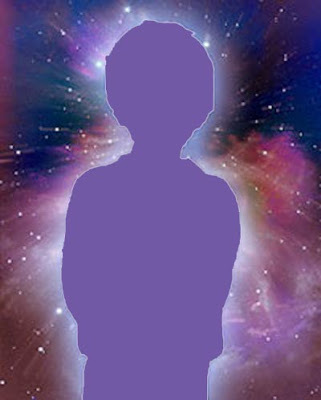 If the indigo children existed they would be gathered, let’s say ten parents that have them, they would appear on TV and they would say: "Look, Here it is the new race of mutants!, Jack, four years old, Peter, five years old, William, six years old... They are indigo children, all of you can see that they are all blondes, of blue eyes, with the skin totally white, they are sages You can can ask them any question about trigonometry and they will respond it with accuracy." Have you watched in some TV program something like that? Ruanel: Then what? Are they hidden? Don’t they have parents or relatives? Why don't the parents gather them? Etc., etc. Now, if these psychos, Pseudo Masters of Light that say that they locate indigo children, they are camouflaged in kinder gardens with other common children, that sounds preposterous. Interlocutor: Then, the only thing real is that there are children who are born with more capacity than others, something that is normal in a race like the human race which is evolving gradually. Ruanel: Of course it is! Every time more children are born with gifts, not with powers! It is normal that in each race beings with more aptitudes embody, it is something characteristic of evolution, Beings who will be at the same level of the advances of that civilization. In 30 years the planet will be divided, because people of 35 or 40 years, in Latin America and Africa, they will have an inferior Intellectual quotient lower than 1 because of famine. They will not develop mentally, and their mental decoder will be ruined because of malnutrition. And there will be children that will have a capacity out of the normal range, and others that will be idiotic because of malnutrition. Children that today are eight years old and who are undernourished, in thirty years, when they reach thirty eight years old, they will be beings that will only do things with little importance. Interlocutor: Well, I believe that this topic is clarified already. This entry was posted at Thursday, August 13, 2009 and is filed under Who are they? . You can follow any responses to this entry through the .